We have a wide selection of Easter gifts, check out our seasonal and themed section! Welcome to our exciting NEW and improved website. Even more fairy magic! We’re here to help you create your very own enchanted miniature fairy garden. 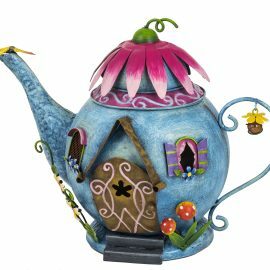 Whether you want just a pot by the window or an enchanted area in your garden, we have all the miniature fairy houses, fairy accessories, fairy doors and fairies you could wish for. By signing up you agree to allow us to periodically email you with details of new special offers or products. Every fairy garden is unique, be it designed by the children, parents or grandparents they will all have their very own sprinkle of special magic! For the larger spaces we have our solar houses, toadstools houses, burrows, tree houses and more. If you want to go smaller, we have our cute mini LED fairy houses and micro fairy house range. 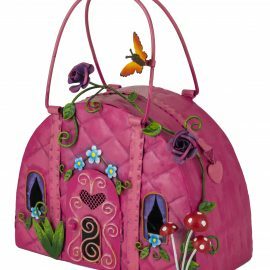 Of course you’ll need a magical person to move in, so browse our fairies, gnomes, pixies and their mini animal friends. Let your imagination run wild and have lots of fun all at the same time. Here at Fairy Gardens UK we like to provide ideas for special occasions like Easter. In this section you will find all of our items that are either related to a season or a theme. Don't forget Easter Sunday is 22nd April! Don't forget to check our sales section though. You may find exactly what you are looking for at a heavily discounted price. If there is something specific you are looking for but you cannot find it on our site, feel free to call us during our office opening hours which are Monday, Tuesday and Thursday 10am to 3.30pm and Friday 10am to 1pm. Outside of those hours you can email us at info@fairygardensuk.co.uk.